Becoming a member of our club is easy! Remember, being a club member fosters, expands and perpetuates the practice of safe snowmobiling and the spirit of good fellowship. This is a printable Membership form that can be mailed in along with your check. Just click on the button to open. 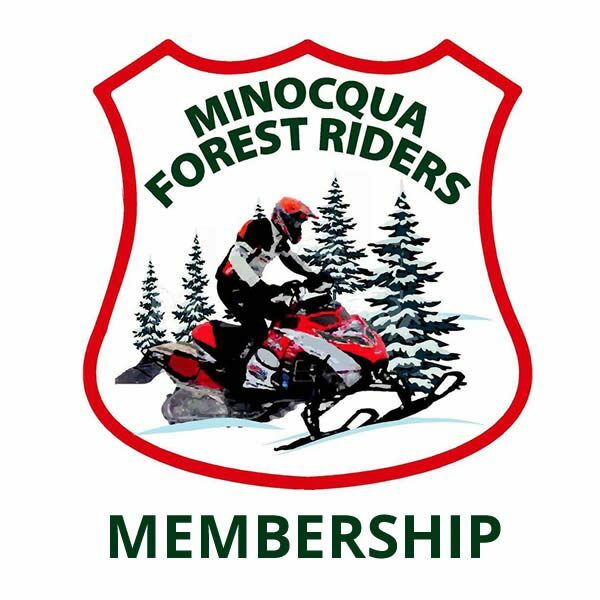 If you have been an active Minocqua Forest Riders Club member for 10 years or more and are over the age of 70, you are eligible for lifetime membership. Be sure the names match the DNR records. The information in the AWSC database has to match exactly (name and address) with what the DNR has on file or members will NOT be able to order trail passes... Please do not use nicknames because the chances are the State of WI DNR has the real name. You can look up your AWSC membership number to order trail passes and print your AWSC membership card right from the AWSC website.